Students will learn the role that Martin Luther King, Junior played in history. Students will be able to analyze the concepts of freedom, equality, and justice. Ask your students if they know who Martin Luther King, Junior is. Tell your students that they will learn about Martin Luther King, Junior today. 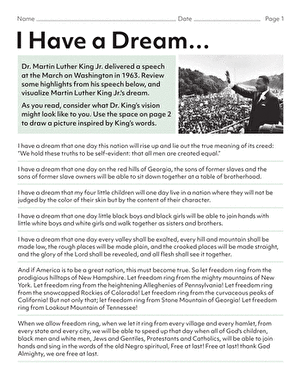 Go over the I Have a Dream worksheet with your students. Explain each dream to your students in detail with an example. 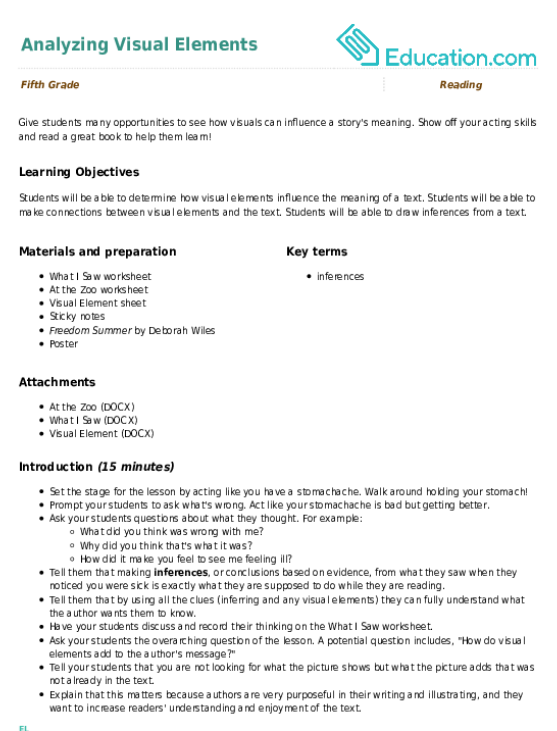 An example for the first dream could be explaining to your students that even though the United States was based on the creed of equality, African Americans were not treated equally, as they were not allowed to sit in the same buses as other races..
Show your students the Martin Luther King BiographyBy Biography Channel. Ask your students to take notes on the video. Have them write at least ten facts from the video. Instruct them to share what they wrote with a partner. Direct your students to share one idea that they wrote with the class. 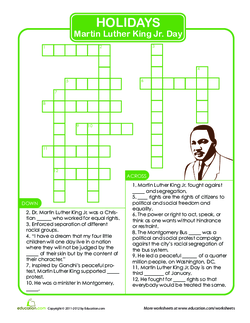 Ask your students to complete the Martin Luther King, Jr. crossword using their video notes. Go over the crossword as a class. Enrichment:Explain the concept of racism and inequality to your students. Explain to your students that there are still groups of people who face discrimination and inequality. Ask your students to research two groups that face these either locally or globally. 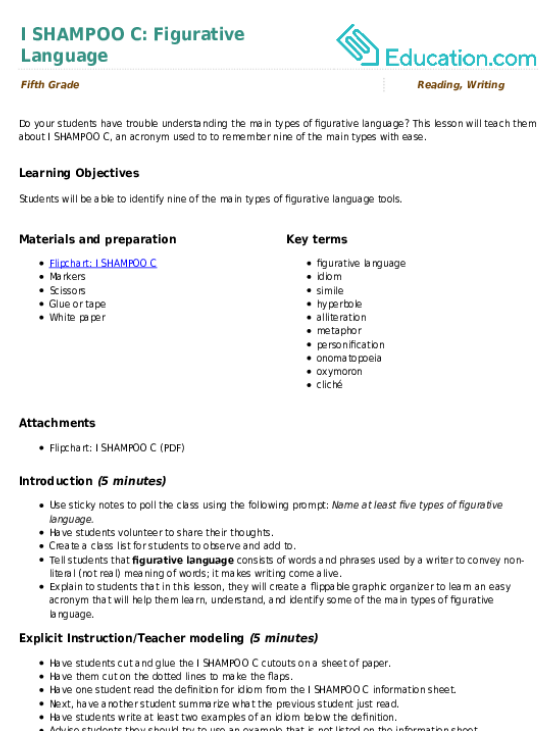 Ask your students to write a four paragraph essay about the type of discrimination and inequality that the two groups face and why. 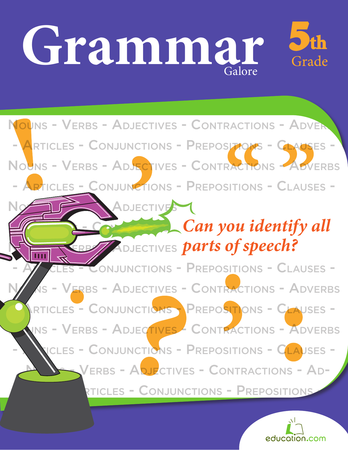 Ask your students to use at least two books to find information for their essays. 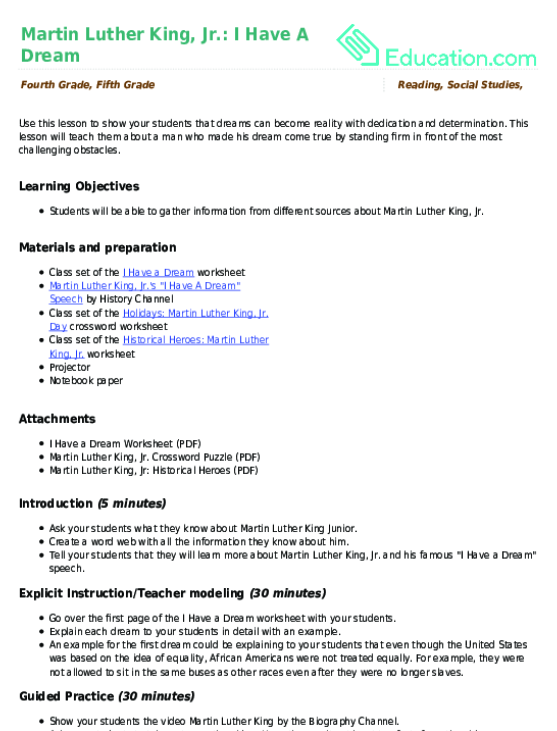 Support:Ask your students to answer the 5 W questions about Martin Luther King. A few examples of W questions could include: Who was MLK Jr.? What did he do? Why did he fight for equality and justice? 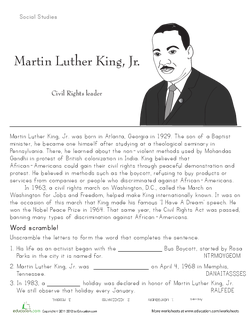 Ask your students to complete the Martin Luther King, Jr. worksheet. 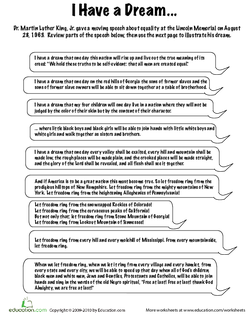 Ask your students to complete the second page of the I Have a Dream worksheet. Ask your students to share their dreams with the class. This lesson will teach them about a man who made his dream come true by standing firm in front of the most challenging obstacles. 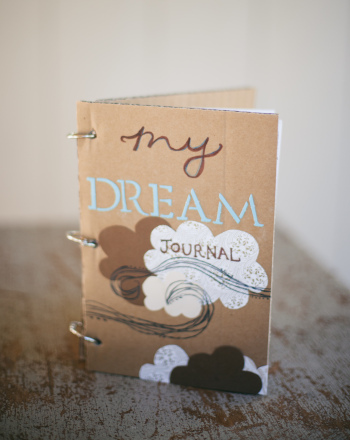 Use Martin Luther King, Jr's historical "I Have a Dream Speech" to inspire your child to write down her own dreams. Glossary: I Can Use Context Clues! 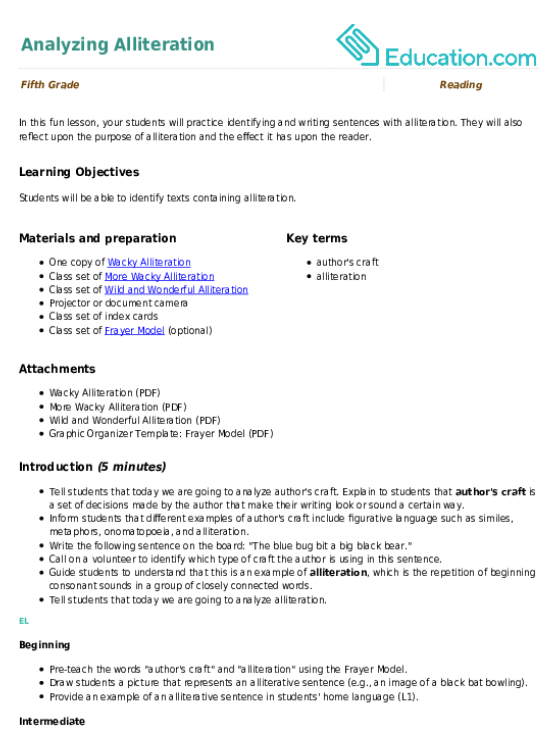 Use this glossary with the EL Support Lesson: I Can Use Context Clues!